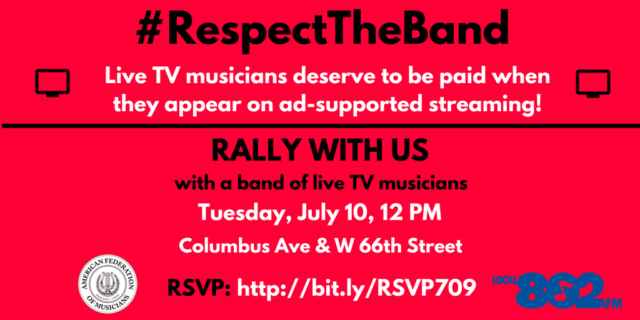 Rally with us on Day 2 of live TV negotiations, with a band of live TV musicians, on Tuesday, July 10 at 12 PM. We’ll be at Columbus Avenue and West 66th Street. RSVP to the week of action here.